The thing is, I don’t even really mind the down-and-dirty movie theater nachos, with slightly stale chips drowned in “cheese sauce” and canned jalapeños. Sometimes that’s just what the situation calls for, and I’m okay with it. But this time I went all the way homemade with these epic Star-Spangled Nachos, down to rolling masa harina dough and stamping out corn tortilla stars to make the chips, making my own refried beans from scratch and braising pork carnitas. The difference between concession stand nachos and homemade is akin to boxed mac and cheese versus the real deal. Both have their place…but my true allegiance is to homemade. And, honestly, once you go to the trouble of making your own chips, the thought of topping them with anything less than top quality just ain’t right. 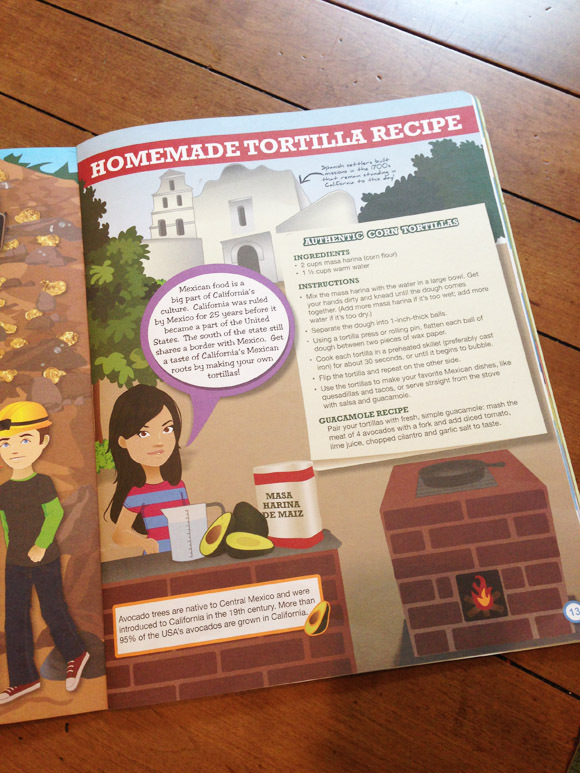 It all started with a recipe for corn tortillas, which appeared in a fun educational kit that a company called Little Passports sent for my kids. While those guys handled the mixing and rolling, I took care of the shape-cutting and frying. I made stars because they’re fun and festive, but I could have just as easily (actually, much more easily) simply sliced them into wedge pieces. During all the tortilla chip production, a pork shoulder was busy braising with green chiles in the oven. I used the carnitas from the Carnitas Soft Tacos recipe I shared four years ago, back in the early days of this blog. Bubbling away on the stove were some homemade refried beans. Wait – where are the beans in these photos?? Yeah…those came out crazy spicy. A little jalapeño – even without seeds – goes a long way, and this one went the distance. Mike and I still ate them, with a lot of yogurt to cool things down, but they didn’t make it onto the nachos. 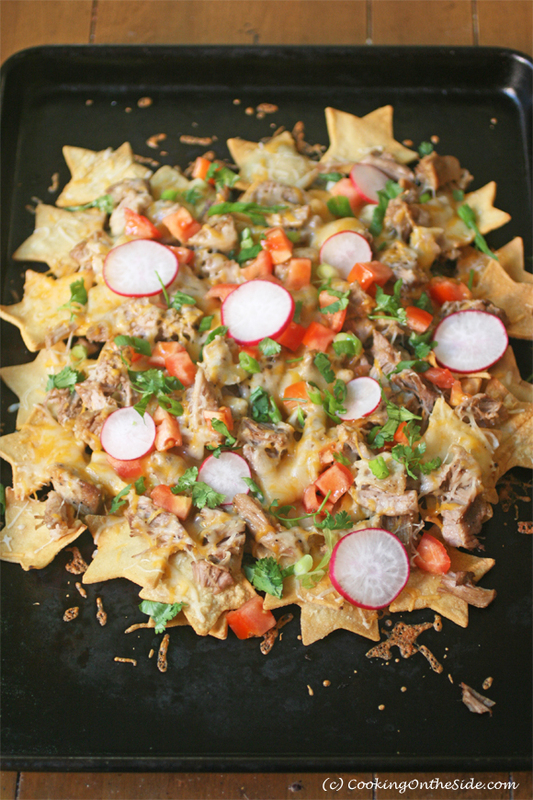 No worries…between the shredded cheese, carnitas, tomatoes, radishes and cilantro, these nachos were plenty loaded. 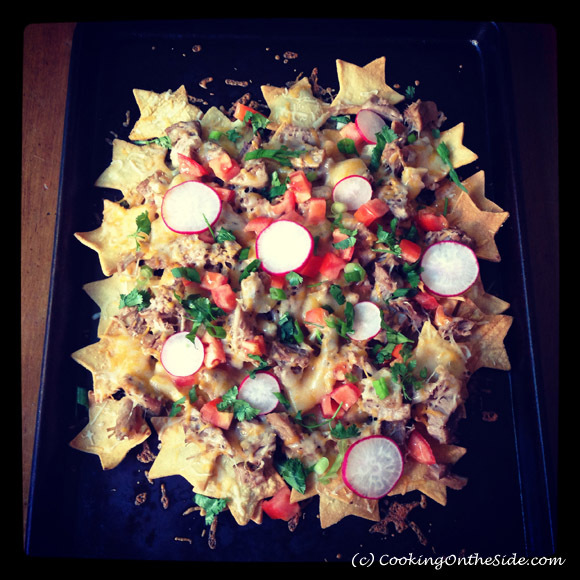 Nachos are a casual dish, highly customizable to your personal tastes. Use as much or as little of these ingredients as you see fit! 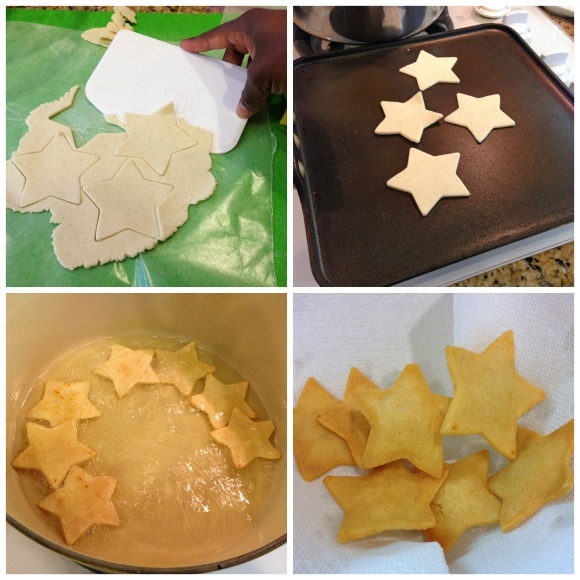 If you’re using store-bought tortillas, cut out star shapes with a star cookie cutter. 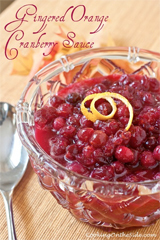 Pour oil into a large, deep Dutch oven or pot until it’s about 1/2-inch deep. Heat the oil over medium-high heat. Test the oil by carefully dropping in a tortilla scrap – if it sizzles when touches the oil, the oil is ready. Otherwise, wait another minute or two and test again. When the oil is ready, carefully drop in your tortilla stars in batches to allow them to fry without overcrowding. 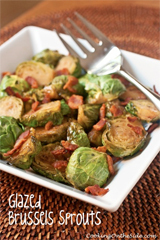 Fry them for a minute or two on each side until they’re crispy and golden and transfer the chips with a spider spatula or slotted spoon to a paper towel-lined plate to drain. Feel free to fry any tortilla scraps as well, or save them for another use. Once they’re cooled, spread the chips on a rimmed baking sheet. Top the chips with a few handfuls of cheese, scattering the cheese all over the chips. Dot on spoonfuls of refried beans and distribute carnitas across the chips. 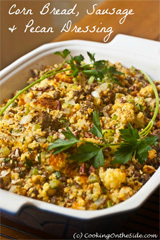 Set the tray in the oven to bake until the cheese is melted, about 20 minutes. Top the nachos with tomatoes, radishes and cilantro and serve immediately. Separate the dough into 1-inch-thick balls. 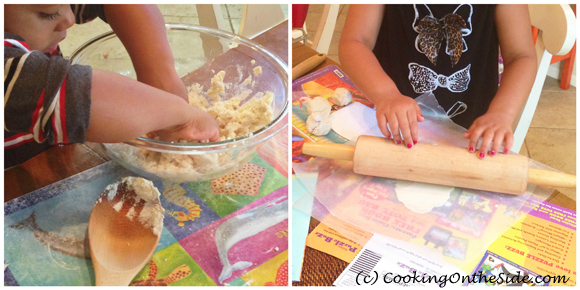 Using a tortilla press or rolling pin, flatten each ball of dough between two pieces of wax paper. Cook each tortilla in a preheated skillet (preferably cast iron) for about 30 seconds, or until it begins to bubble. Flip the tortilla and repeat on the other side. Use the tortillas to make your favorite Mexican dishes, like quesadillas and tacos, or serve straight from the stove with salsa and guacamole. NOTE: If you’re making the Star-Spangled Nachos above, cut the tortillas into star shapes with a star cookie cutter, re-rolling any scraps. This is brilliant! Everything from the homemade chips to the carnitas. I’m drooling!